You like your q300? Loving mine - also have the K&N FIPK. I have the same as you. So, far so good! It's not overly loud and drone is minimal. Ill be picking my '04 BB with hardtop and Q300 up soon too. cool Im in NOva reston area. I've been looking at an 03 with 65k miles for $12,900. I owned an 05 for about a year and regret selling it but times were tough. 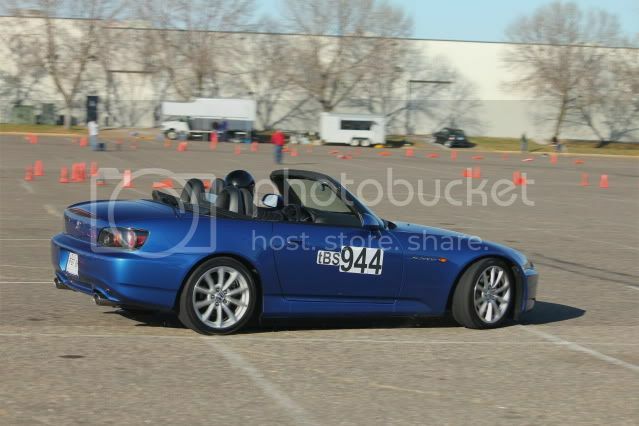 I was thinking about going AP1 this time around. Does anyone wish to chime in on the feel between the two? Torque difference? Interior?? Handling wise?? just went through all 29 pages. sick cars! The best thing to do is to test drive both. 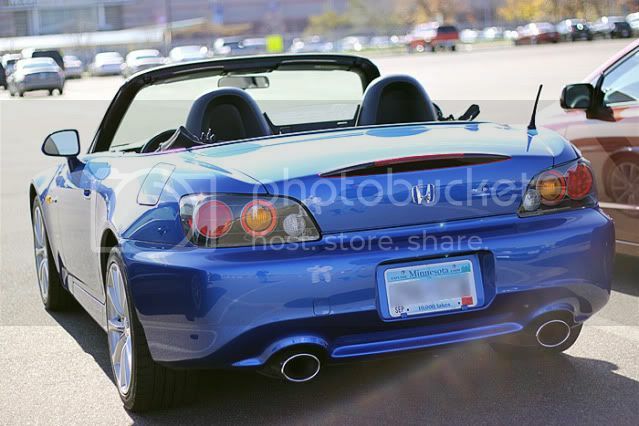 You had an 05, so you know how the AP2 does - most will tell you its the better daily car. The AP1 does have that extra 1krpms to play with though. Most of what I have found shows the AP2 to be slightly better than the AP1 in all around performance. It boils down to a matter of taste really. Good luck, can't go wrong in either one! lol who busted you in the lip? i used to own an '04, and next time around, i'll definitely go the AP1 route. you can't go wrong with either though. lol wtf how did you hit 1 cat and 2 raccoons. I think the cat was before I did the lip, then raccoon #1 cracked it and number 2 some time later finished it off. I had a German Shepard kill himself on my old RSX front bumper. It's the worst feeling when you hit something. he did it on purpose..
Nice, other than the cracked lip of course! 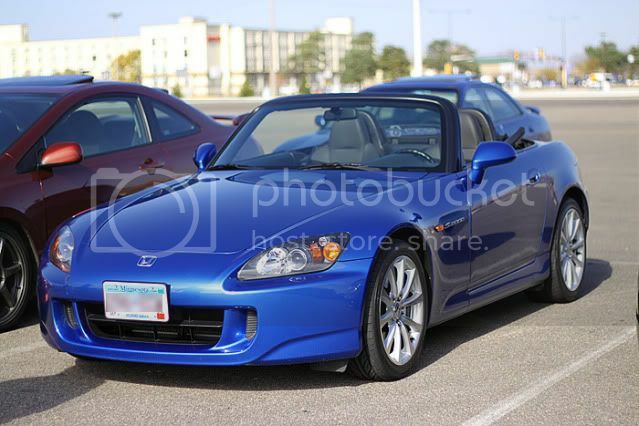 sara: 2001 GPW Honda S2000 - Now with more hardtop! Joined the club a month ago, gonna be tough not driving it all winter.